As the week begins, Governor Andrew Cuomo is heading to Cuba on a trade mission, leaving Monday and returning Tuesday evening - "the first Governor-led state trade mission to Cuba since President Obama began the process to normalize diplomatic relations between the United States and Cuba," the governor is quick to point out. "In addition to the Governor and members of his administration, the delegation includes Assembly Speaker Carl Heastie, Senate Minority Leader Andrea Stewart-Cousins, Independent Democratic Conference Leader Jeff Klein, and business leaders representing a number of important sectors and industries in New York's economy." Meanwhile, get ready for an intense post-budget legislative session in Albany, set to begin Tuesday and extend through mid-June. There's a lot of policy on the table as the budget wound up not including quite a bit (minimum wage, mayoral control of schools, raise the age, etc.) that had been part of the initial conversations on the spending plan. Lawmakers are due in Albany on Tuesday through Thursday this week. Mayor Bill de Blasio spoke about income inequality and progressive policy to address it in Nebraska and Iowa last week (he'll be back on the road spreading his gospel this coming weekend, in Wisconsin (see below for details)). De Blasio returned to New York City on Friday and spent part of Saturday on Staten Island, helping kick off little league season and participating in a pre-K "day of action." Also on Saturday, "de Blasio attended the Office of Immigrant Affairs Stakeholders' Roundtable at City Hall this afternoon as part of the Administration's ongoing efforts to deepen coordination and collaboration with advocates across the City," according to his office. The mayor starts his week with one public event, a bill signing ceremony at 4 p.m. at City Hall, during which he'll sign into law "Intro. 421-A, in relation to increased reporting by the Human Rights Commission; Intro. 689-A, in relation to establishing a housing discrimination testing program; Intro. 690-A, in relation to establishing an employment discrimination testing program; Intro. 656, in relation to the establishment of the South Shore business improvement district; and Intro. 497-B, in relation to the interest rate and discount percentage recommendations provided by the New York City Banking Commission." Comptroller Scott Stringer released a new audit on Sunday: "Animal Care & Control (AC&C) of New York City does not ensure the safety of drugs and vaccines it administers, fails to track them efficiently, operates an overcrowded shelter in Manhattan, and potentially unsafe facilities, according to an audit released today by New York City Comptroller Scott Stringer...AC&C, a non-profit corporation, has a 5-year, $51.9 million contract with the Department of Health & Mental Hygiene (DOHMH) to provide shelter, examine, test, treat, spay, neuter and assure the humane care and disposition of animals in shelters located in Manhattan, Brooklyn and Staten Island, along with drop-off centers in Queens and the Bronx." Stringer begins his week with one public event: delivering the "keynote address at the Municipal Forum of New York Luncheon" at The Union League Club, 1 p.m.
Public Advocate Letitia James also has one public event on her Monday schedule: she "co-hosts Healthy Teen Relationships Forum with Manhattan Borough President Gale Brewer and Council Member Helen Rosenthal" at MacCaulay Honors College. It's another busy week at the City Council, see below for the day-by-day schedule. Meanwhile, behind the scenes budget negotiations continue between the Council and the mayor after the Council released its preliminary budget response last week and the mayor prepares his executive budget, due out in early May. Council Speaker Melissa Mark-Viverito spent the end of the week in Phoenix, where she was sharing information about the city's new municipal identifcation program. Mark-Viverito then returned to the city to vote in her district's participatory budgeting process, which was wrapping up there and in 23 other districts around the city (on Saturday, Mayor de Blasio voted in his home Brooklyn district, represented by Council Member Brad Lander). Mark-Viverito starts her week making an announcement at Baruch College at 11 a.m. on Monday along with reps from Microsoft, CUNY, and Partnership for New York City. She'll also be in Queens with Council Members Donovan Richards and Jimmy Van Bramer touring a "Green Workforce Training Lab." Wednesday is Earth Day. Expect action and announcements and op-eds and more related to environmental issues all week. 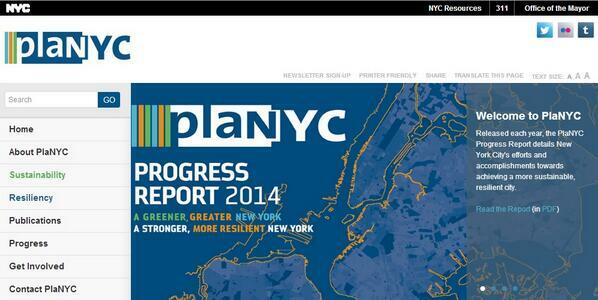 The City is due to releases its PlaNYC update on Wednesday. We take an in-depth look at the City's relience planning here, and focus in on Staten Island's situation here. Governor Cuomo has declared it "Earth Week" in New York; and Brooklyn Borough President Eric Adams has done the same in his borough. As always, there's a great deal happening all over the city, see below for our day-by-day overview. "2015 Pulitzer Prizewinners and Nominated Finalists will be announced Monday, April 20, 2015, at Columbia University in New York City. The announcement will take place at 3:00 pm eastern daylight time." On Monday at 10 a.m. "to mark the first anniversary of the Ventanilla de Asesoría Financiera, the Mexican Consulate of New York, the NYC Department of Consumer Affairs, and Citi will announce the expansion of the Ventanilla to other Mexican Consulates across the US. The celebration will be the first of several events taking place at the Mexican Consulate as part of Financial Education Week 2015." At 11 a.m. at 250 Broadway, Assembly Member Linda Rosenthal, AARP representatives, and others will make an announcement about the CARE Act, legislation aimed at helping New York's caregivers. Monday’s City Council schedule will include a meeting of the Committee on Technology to discuss new bills relating to the translation feature on city websites and requiring that local government websites are accessible to persons with disabilities; a meeting of the Committee on Cultural Affairs, Libraries and International Intergroup Relations to consider a bill on the community engagement process in the percent for art law; a join meeting of the Committee on Women’s Issues and the Committee on Civil Service and Labor to consider a bill to "prohibit employers from preventing their employees from discussing salary information" and a bill to create an Office of Labor Standards, as well as resolutions to "grant NYC the authority to enfore State worker protection laws"; support the Wage Theft Prevention Act; support the Paid Family Leave Act; and in support of a bill to prohibit pay differential based on gender. Monday at noon, the New York State Republican Party will host a lunch with special guest Wisconsin Governor Scott Walker. On Monday afternoon in Brooklyn, "Boro Park JCC Executive Director Rabbi Yeruchim Silber and Borough President Adams will present the Belvedere Assisted Living Center with $3,500 in rental assistance to ensure that Rabbi [Mordechai] Simcha can live in a safe and dignified home. A 108-year-old Borough Park resident, with deteriorating health and a fixed income, Rabbi Simcha has struggled to cover his rent..." Simcha is a Holocaust survivor. Monday evening at Civic Hall, Lawrence Lessig, Van Jones, Zephyr Teachout and MoveOn.org will host a talk on political corruption and why Elizabeth Warren should run for president. The NYC Bar Association will host a panel discussion on the Child-Parent Security Act. Panelists will include State Senator Brad Hoylman, lead sponsor of the Child-Parent Security Act in the New York Senate; Carol Buell, partner at Weiss, Buell & Bell; Nina Rumbold, partner at Rumbold & Seidelman; and Nathan Schaefer, executive director at Empire State Pride Agenda. Also Monday evening, the City's Immigrant Heritage Week will include “A discussion on the current status of executive action rollout and the programmatic and advocacy work being done at the local, state, and federal level.” Panelists will include Nisha Agarwal, commissioner at Mayor’s Office of Immigrant Affairs; Jorge Moncalvo, director at NYS Office for New Americans; and Jojo Annobil, Attorney-in-charge of the Immigration Law Unit at Legal Aid Society. Riders Alliance is hosting an event, "How to Move a Pro-Transit Agenda in Albany," featuring Assembly Members Erik Dilan, Robert Rodriguez, and Nily Rozic. And also on Monday, Manhattan Borough President Gale Brewer is attending Central Park Conservancy's ceremonial "First Mow" at 11 a.m. and co-hosting the aforementioned "forum on teen dating violence and promoting healthy relationships with Public Advocate Letitia James and Council Member Helen Rosenthal" at 6 p.m.
Tuesday afternoon, the state Legislature returns to Albany for the start of the post-budget legislative session. On Tuesday afternoon, "In honor of the 50th anniversary of the New York City Landmarks Law, members of the press are invited to take a complimentary tour with Borough President Melinda Katz to several prominent Queens landmarks throughout the borough on Tuesday, April 21st. The press tour van will depart the Queens Museum at 2:45 p.m. for the following landmarks (not necessarily in order): Louis Armstrong House in Corona; Kingsland Homestead in Flushing; Quaker Meeting House in Flushing; King Manor in Jamaica; and Addisleigh Park Historic District in St. Albans." Council Member Andy King will host another NYCHA residents “Constituent Services Night” at the Eastchester Gardens Community Center. And on Tuesday evening at 6 p.m., Brooklyn Borough President Eric Adams is hosting a "Tenant Protection 101" session at Trinity Lutheran Church. Wednesday is Earth Day. The de Blasio administration will release its update to PlaNYC, the city's long-term environmental, resilience-planning outline. We preview that release here. Wednesday at 10 a.m. at City Hall, "City Council Member Costa Constantinides (D-Astoria) calls for passage of Res. 375, which calls on New York State to include climate change in the K-12 curriculum." He'll be joined by EPA Region 2 Administrator Judith Enck, Natural Resources Defense Council Senior Attorney Eric Goldstein, Global Kids Executive Director Evie Hantzopoulos, Alliance for Climate Education (ACE) Program Manager Maayan Cohen, and others. And at 2 p.m. in Manhattan: CUNY Divest Earth Day press conference, including City Council Member Steve Levin, Chris Fici of GreenFaith, the Union Theological Seminary, Professor of Finance Charles Allison, The New School, and many others. Wednesday, "NYC Votes will hold its second annual #VoteBetterNY Advocacy Day for Election Reform in Albany...NYC Votes will lead a group of nearly 100 concerned citizens urging state legislators to modernize New York's voting system. This year's #VoteBetterNY agenda includes three key reform proposals: Online voter registration; Better ballot design; Early Voting." At 11:30 a.m. Wednesday, the Center for an Urban Future and NYATEP will present Making New York’s Workforce Development System More Accountable: how wage reporting data can help the state measure the success of its workforce development system. Featured panelists include Assembly Member Nily Rozic and representatives of several key stakeholders in government, education, and civic life. Wednesday evening, Tina Brown Live Media in association with The New York Times will present The Sixth Annual Women in the World Summit: “The struggles and triumphs of women and girls around the globe come to life in this dynamic three-day summit. World leaders, industry icons, movie stars, and CEOs convene with artists, rebels, peacemakers and activists to tell their stories and share their plans of action. Join the women who have shattered glass ceilings everywhere! More participants to be announced.” Participants will include Senator Kirsten Gillibrand and presidential candidate Hillary Rodham Clinton - Clinton will speak Thursday evening. City Council Member and congressional candidate (Democrat in NY-11) Vincent Gentile will be participating in a candidates debate on senior issues, at Ft. Hamilton Senior Center in Bay Ridge. Also Wednesday evening, "Stories of Genocide, Lessons of Tolerance" at the Museum of Tolerance, hosted by City Council Members Melissa Mark-Viverito, Elizabeth Crowley, Mark Levine, and others. At 6 p.m. Wednesday, Digital NYC Five Borough Tour will hit Harlem. Panelists will include Clayton Banks, Co-­Founder at Silicon Harlem; Ofo Ezeugwu, CEO & President at WhoseYourLandlord.com; and Sam Sia, Co-Founder at Harlem Biospace. Wednesday evening, Coro New York Leadership Center will celebrate at its annual gala, this year marking "30 Years of Visionary Leaders," and honoring several including City Council Member Ritchie Torres. Also Wednesday evening, Vanguard Independent Democratic Association Presents: Young Professionals Networking Mixer "Balancing the Scales of The Criminal Justice System," with guest speaker Public Advocate Letitia James. 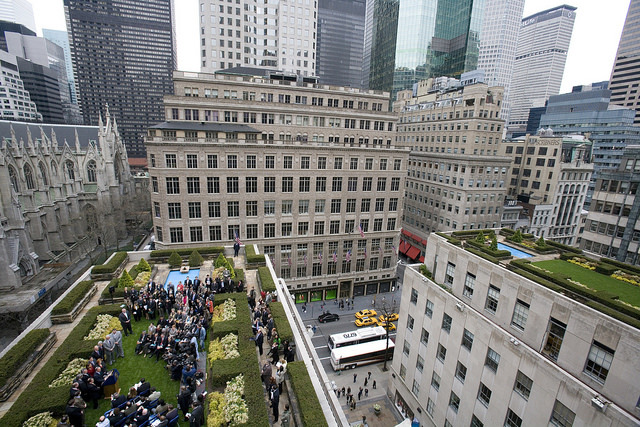 Wednesday night, NY Environment Report will celebrate its launch at Maxwell’s Bar & Restaurant in Manhattan. Council Members Donovan Richards and Mark Treyger will join the celebration and deliver remarks: "...they will speak briefly about the release that day of the City's progress report on PlaNYC, and other environmental issues of importance to our city.” Read our latest joint article with NY Environment Report, on the City's preparations for the next big storm(s): Assessing Resilience Planning: Is the City Preparing Smartly for the Rising Risks of Climate Change? 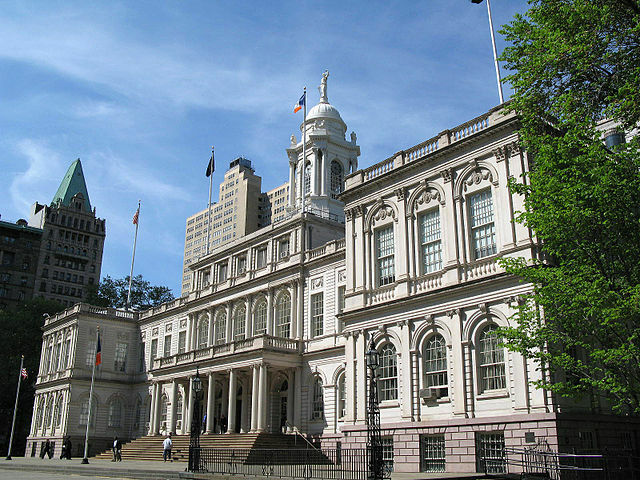 Thursday’s City Council schedule will include a meeting of the Subcommittee on Zoning and Franchises; a meeting of the Committee on Mental Health, Developmental Disability, Alcoholism, Substance Abuse and Disability Services jointly with the Committee on Transportation and the Committee on Aging for an oversight hearing regarding “transportation services for seniors and people with disabilities in New York City” and to consider a resolution “recognizing this and every April as Autism Awareness Month in the City of New York”; a meeting of the Subcommittee on Landmarks, Public Siting and Maritime Uses; a meeting of the Committee on Contracts; and a meeting of the Subcommittee on Planning, Dispositions and Concessions. Women in the World will continue its 6th annual summit, which starts Wednesday in New York City, where Hillary Rodham Clinton is set to speak Thursday evening. There will be another candidates forum in the NY-11 congressional race on Thursday evening: "The Federal Budget and 'Front Burner' Domestic Issues" at Good Shepherd Lutheran Church in Brooklyn: "With only a few weeks to go until election day on May 5th, it's vital that we raise awareness about the election, the candidates and their positions on the issues." Sponsoring organizations include Communications Workers of America, Locals 1102, 1109; Metro New York Health Care for All Campaign; New York State Nurses Association; MoveOn; among others. On Saturday morning, the Murphy Institute will host a Political Action Training. Saturday evening, Mayor Bill de Blasio will deliver a keynote address at the Democratic Party of Wisconsin Annual Founders' Day Gala 2015, at the Milwaukee Athletic Club. On Wednesday, the Council held its first in a series of hearings on the mayor's fiscal year 2016 preliminary budget. Gone were the muffins and soft lines of questioning from the initial council budget hearing last year, the first budget cycle for the new mayor and largely revamped council. Instead, Council Member Julissa Ferreras, chair of the Finance Committee, and her colleagues came armed with pointed questions, particularly related to transparency. Ferreras cited the continued use of broad units of appropriations, lack of detail about key proposals, such as the City's housing plan, the council receiving delayed access to information, such as the Education Five Year Capital Plan, and the lack of clarity around how the administration will find savings without the use of mandated cuts across agencies. "The lack of transparency in the budget and the administration's failure to timely provide budgetary information to the Council impedes the Council's ability to make informed decisions about the City's current fiscal condition, properly assess past and current proposals, and adequately make long-term planning decisions," Ferreras said at the budget hearing on Wednesday. In its budget response last April, the Council demanded large units of appropriation, particularly around education funding, be broken up into specifics to better track spending and progress on initiatives. "We are greatly concerned with the lack of transparency in units of appropriation in the Executive Budget," the April 2014 response reads. "Dividing funding for Universal Pre-Kindergarten, Elementary and Middle Schools and High Schools into smaller units of appropriation would increase accountability and transparency in a massive budget, making it easier to track categories of spending and ensure that all school funding is scheduled in the appropriate budget code." Council members were hoping to curb the transparency issues that had plagued the Bloomberg administration, where including overly broad units of appropriation was common place. The Council asked the de Blasio administration to expand units of appropriations (U of A) in six areas. As of the preliminary budget, the de Blasio administration has complied with three of the six: renaming the U of A in the Miscellaneous Budget to "Reserve for Collective Bargaining," moving networks and clusters from the Schools to Regional Administration, and moving charter support costs to the Charter U of A. The request to clean up U of As for Disease Control and Epidemiology is expected by the executive budget, but a new U of A for Early Intervention and a new U of A for Universal Pre-Kindergarten has not been complete. 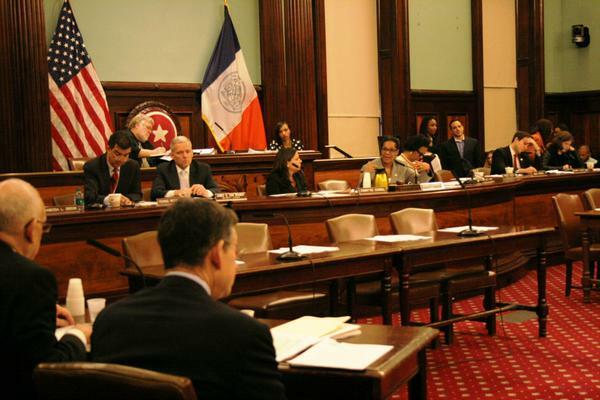 Ferreras asked de Blasio's Budget Director, Dean Fuleihan, what is causing the delay, to which he responded that the City is committed to releasing the fourth detailed U of A by the executive budget, due in April. "That's still not six. And that is still in fiscal year 16, as opposed to fiscal year 15 as we had discussed," Ferreras fired back, exemplary of a somewhat surprisingly tense session, even as the Council is largely supportive of the mayor's policy and budget plans. Ferreras added the expanded U of A for universal pre-K, a $340 million state-funded program, was very important to the Council. "We made a commitment and we will make sure that we keep that," Fuleihan said. Ferreras noted that the Council is expected to make more requests related to U of A, and Fuleihan said that his team would work to make it happen. When de Blasio released his first budget in early 2014, he did away with Programs to Eliminate the Gap (PEG), which had become infamous during the Bloomberg years, when the mayor required agencies to identify ways to cut spending. The Council would expend enormous energy to restore proposed PEG cuts to things like firehouses and libraries, cuts which rarely made it into the executive budget. Instead of PEG programs, de Blasio decided to use agency efficiency programs, asking each agency to take a look at their departments and propose cuts. But that process has not been made public and the agency efficiency proposals for FY16 are not in the preliminary budget. "We want to make sure when we are here in FY17, we can follow whether the efficiency failed or not," Ferreras said. Fuleihan noted the administration will be presenting that information soon and is open to discussing the format in which the Council would like to receive it. When presenting his preliminary budget, de Blasio told reporters that the cost savings identified by agency commissioners would be made clear in the April executive budget. The City Charter requires the administration to release a 10-year capital plan every two years. The plan allows the administration to showcase its vision for building things like schools and parks. This document is typically filled with dense narratives, charts, and graphs. But this year, the first in which a 10-year capital plan is due for the de Blasio administration, the plan was not as detailed as it has been in the past, at least according to Ferreras, whose opinion was challenged by Fuleihan. He argued the administration included major agency zeroes and significant reductions in the Department of Education for the second five-year period, something not done in the prior administration. "I would argue what we presented you was much more detailed," Fuleihan said. "We are happy to work with you and discuss the merit, but we believe this was a more realistic plan than the last 10-year capital plan that was presented." 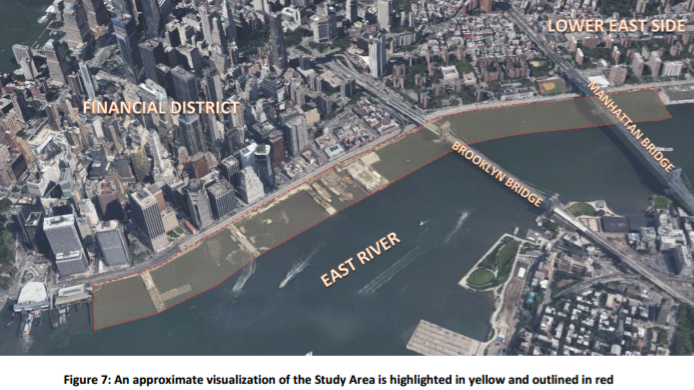 Fuleihan noted it was a preliminary plan and several items would be affecting it that had not come down the pike yet, including the new PLaNYC, which is due in April, as well as state education funding, also due in April, and federal funding for the Highway Trust Fund, which is set to expire in May. "They would like more transparency," Fuleihan said following the hearing. "We agreed to additional provisions last year in the adopted budget and we will continue to work with them. There is no reason not to work with them."